Full clean driving licence, have worked on a number of Broadcast TV shows including factual entertainment, health based and cookery shows. Very enthusiastic and passionate about furthering my career and I am always looking to learn new skills. - Have had experience shooting with a C300, FS5, FS7 and AS7. - Confident wrangling in Shotput Pro, using editing software Final Cut, Photoshop and Premiere Pro. - Assisted with logs, transcripts and shoot notes for the edit. - Great technical knowledge of cameras and kit. On location filming in the back of the ambulance, getting consent from contributors who are being treated by the paramedics, setting up and monitoring the rig in the ambulance. 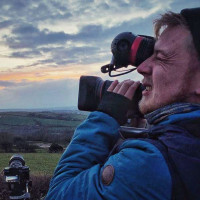 Casting, liaising with contributors, setting up spectacular viewing points for each region, and shooting on location with A7S and FS7 as well as assisting with an ARRI AMIRA. Shooting second and third camera (FS7) on location all around the UK, as well as casting the series when in the office. Shooting second and third camera (FS7) abroad on location in Thailand. Wrangling hundreds of hours’ worth of footage on location and in the office, shooting assistant on locations, shot with C300 and FS5. Location Researcher/ Studio Assistant – Escorted contributors, assisted on location, took press pictures. shot with C300 and FS5, oversaw two loggers and edited overnight on location for the following day shoot. Production Title: Shop Well For Less?